The 2019 Concession & Hospitality Expo will be held in Chicago on July 30- August 2 at the Fairmont Chicago, Millennium Park Hotel during our 75th Anniversary year! Visit often for information on an evolving Agenda, Sponsorships and Trade Show. Links to Photos from 2018 Expo in New Orleans. 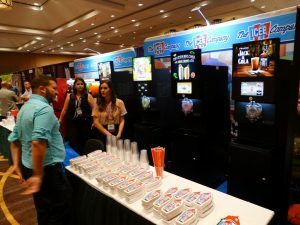 The National Association of Concessionaires will bring together the top food and beverage concession leaders in the recreation and leisure-time industry at The Concession & Hospitality Expo. The Expo committee is planning terrific educational sessions, great social functions and exciting events. Check back often as the 2019 program comes together. Formerly known as the NAC Annual Convention & Trade Show, the event is an educational conference in its 37th year covering a wide range of concessions and foodservice topics. The business sessions are practical and focused on the concessions industry, and provide interaction between all types of operations. In addition, exciting social functions allow for attendees to network in a less formal setting. Your full convention registration fee includes all educational sessions, food functions, social events, venue tours and the trade show. As part of the Expo, NAC will host its own trade show specifically for the recreation and leisure-time foodservice industry. The trade show will feature companies that provide products and services to all types of recreation, leisure-time and public assembly facilities. For more information on the trade show and how you can participate, click on the Trade Show tab on this page. Make plans now to attend the 2019 Expo in Chicago. This is very tentative schedule for the 2019 Expo. Check back often as the 2019 Expo Evolves. 7:00 – 10:00 PM Wednesday Evening Event- NAC 75th Annniversary Celebration - Crystal Gardens of Navy Pier Great food and beverage, great friends and conversation, great music and even a fireworks display will make this evening one to remember. 10:30 AM - 12:00 AM General Session - Shop Talks, A series of 15 minute sessions. Check back often for additions and updates for the 2019 NAC Expo. 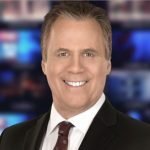 Movie critic Richard Roeper and Marcus Theatre CEO Rolando Rodriguez will address the 2019 NAC Concession & Hospitality Expo on Wednesday, July 31, 2019 at 9:00 AM at The Fairmont Chicago. 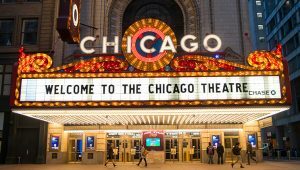 Roeper; Chicago Sun-Times movie critic and author of 7 books on culture, theatre and even his love of baseball; will discuss his lengthy career as a movie critic, tv and radio host, his perspective on modern and classic movies and his experiences in the movie theatre. He will also interview Marcus Theatre’s President & CEO Rolando Rodriguez during the address. Roeper worked closely in the 90’s and into the 2000’s with movie critic icons Gene Siskel and Roger Ebert on their syndicated tv shows and replaced them both after their deaths. He has also appeared on Reelz, Starz and numerous network and cable shows featuring movies. Marcus Theatres’ Rodriguez will enlighten the NAC EXPO audience on the future of the cinema experience into the next decade. 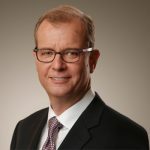 Jerry Jacobs, Jr., Co-Chief Executive Officer of Delaware North will address the attendees of the 2019 NAC Concession & Hospitality Expo on Wednesday, July 31 at 1:30 PM during a general session at the Fairmont Chicago. The Expo is scheduled for July 30 through August 2, 2019. Jacobs, a graduate of Georgetown and The Wharton School provides stewardship to the more than 100 year old Delaware North and its operating subsidiaries, which include industry leaders in food and retail operations at airports and sports venues, sports facility ownership and management, operation of parks and major tourist attractions, hotel ownership and management, and gaming operations. Dr. Radesh Palakurthi and Larry Etter – University of Memphis updates research presented during CinemaCon 2019. Justin Green, Vice President of Hospitality at Levy and the brand new Fiserv Forum in Milwaukee will discuss the magnificent new Milwaukee Buck’s arena – Fiserv Forum and the revolutionary aspects of the facility, the evolutionary importance to the Milwaukee downtown community and the remarkable food and beverage offerings. 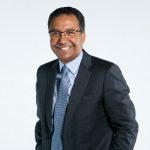 Michael Dominguez, Senior Vice-President and Chief Sales Officer for MGM Resorts International and has the responsibility for the global sales of 42,000 hotel rooms, 3 Million square feet of meeting space and all sales efforts in both group sales and leisure sales. MGM Resorts is the largest Casino hotel company in the world. 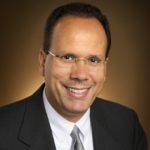 Michael is currently Co-Chair of Meetings Mean Business Coalition and Former Chair of Meeting Planners International. Dominguez will join Green to address: The Changes and Trends in Concessions and Hospitality. Lunch will also be served at this once in a lifetime experience. 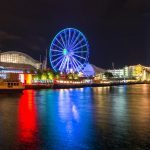 The National Association of Concessionaires was founded in Chicago in 1944 and 75 years later NAC returns to celebrate its Diamond Anniversary where it all began at the Crystal Gardens of Navy Pier. Great food and beverage, great friends and conversation, great music and even a fireworks display will make this evening one to remember. Buddy Guy’s Legends -the premiere blues club in the world will host an evening of great music, food, drink and community. Since its opening in June of ’89, Buddy Guy’s Legends has built a reputation as the premiere blues club in the world. Backed by Mr. Guy’s personal reputation as the crowned king of Chicago’s electric blues scene and his 50+ years in the music business, Legends is distinguished for its innovative scheduling of local, national, and international blues acts. The AMC Block 37 Dine In Theatres on State Street in downtown Chicago features all the latest cinema technology and spectacular food and beverage choices on this exclusive Venue Tour. “At AMC DINE-IN, we’ve upped the movie going experience by bringing you the best of both worlds – a restaurant and movie theatre rolled into one. Enjoy handcrafted food and drinks with premium sight, sound and seating. Forget about restaurant reservations. Simply order your movie tickets, sit back and enjoy” – AMC DINE-IN Block 37. 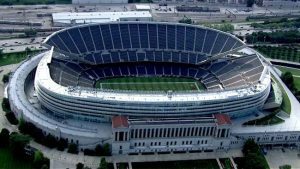 Soldier Field, designed by renowned architects Holibird and and Roche opened on October 9, 1924 on Chicago’s lakefront – the 53rd Anniversary of the infamous Chicago Fire. The first football game in Soldier Field was on November 22, 1924 when Notre Dame played Northwestern. 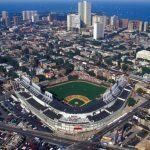 The Chicago Bears moved from Wrigley Field to Soldier Field for the 1971 season and have been residents there ever since. Soldier Field was completely renovated into its current configuration for the 2003 season after a 20 month project that saw the Bears play 2 seasons in Champaign at the University of Illinois. The last stop on the tour will be at C. Cretors & Company for a tour and Lunch. Long considered the cornerstone in the industry, C. Cretors & Company designs and manufacturers equipment that provides solutions. The Foodservice Equipment division, established in 1885, introduced the first patented steam driven popcorn machine that popped corn in oil. The Foodservice Equipment Division has expanded to include cotton candy, warmers, dispensing systems and other specialty equipment. A wide selection of caramel and savory coated popcorn and roasting equipment has been developed and is quickly expanding into gourmet retail popcorn shops and other specialty food outlets. The Food Processing Systems division, established in 1967, patented and introduced a continuous production line featuring a hot air fluidized bed oven for high-volume popcorn production. The production line has been adapted to produce other snack foods, cereals, and specialty products. Airport drop off (O’Hare Only) is estimated to be at 3:30 PM with buses returning to the Fairmont at 4:30 PM. 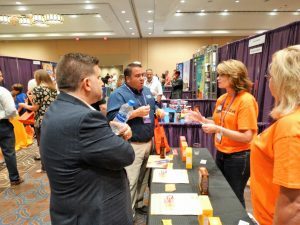 The 2019 Trade Show will be held on Wednesday, July 31 (2:30 p.m. – 5:00 p.m.) and Thursday, August 1 (2:00 p.m. – 4:00 p.m.) Fairmont Chicago, Millennium Park Hotel and is open to full and tabletop displays. CLICK HERE TO DOWNLOAD BOOTH RESERVATION FORM. Click on company name to go to their website or video icon to see video clip. 102 Coca-Cola 214 Packaging Concepts, Inc.
406 The J.M. Smucker Co.
208 Royal Corporation 321 Pro Star Industries 504 Sunsof, Inc.
soft drinks • beer • iced tea • nachos • menu boards • pizza • hot dogs • soft pretzels • peanuts • pressure fryers • cotton candy • sno kones • frozen yogurt • ice cream • churros • egg rolls • condiment dispensers • mobile food carts • food warmers • holding ovens • candy • grills • BBQ• popcorn poppers • concession stands • containers & trays • architectural planning & concession design• souvenir cups/mugs • beverage dispensers • paper products • popcorn toppings & oils • point-of-sale equipment and MORE! Don’t miss the chance to put your company in front of the leading buyers in the industry! The 2019 Expo will take place at the Fairmont Chicago, Millennium Park Hotel. CLICK HERE TO RESERVE YOUR ROOM FOR THE 2019 NAC EXPO IN CHICAGO! The Fairmont Chicago, Millennium Park has sophisticated after a multi-million dollar refresh of its 687 guestrooms and suites. Anchored by 400+ acres of protected park space in the heart of downtown Chicago, the Hotel enjoys pristine views of Lake Michigan, Millennium and Grant Parks and the famous Chicago Skyline. 687 Guestrooms and Suites – Including our hypoallergenic, allergy-friendly Fairmont PURE rooms, our guestrooms feature stunning views of Grant, Millennium and Maggie Daley Parks as well as Lake Michigan and the legendary Chicago skyline. Columbus Tap – A quintessential Windy City tap house experience and a fresh Midwest-focused menu that flirts with seasonal and regional ingredients, created to pair perfectly with the restaurant’s unique and extensive beer selection. Millennium Room – Indulge in traditional buffet breakfast items or enjoy the classics from our a la carte menu. THE BAR – Smooth and sophisticated. Located in the lobby, THE BAR is the perfect gathering place for a cocktail or an after dinner drink. Fitness Studio – Available 24 hours daily and features state-of-the-art cardiovascular equipment, circuit training and free weights by Technogym and Precor. NAC members and exhibitors may receive unsolicited phone calls from companies stating that they can provide you cheaper rooms than we can in Chicago for The Concession & Hospitality Expo. Please be aware that these individuals and companies are known to scam clients by getting credit card numbers and pertinent information that can be used in nefarious ways. 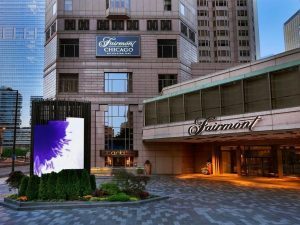 You are receiving the most affordable rate at Fairmont Chicago Hotel while also supporting your association at NAC. DO NOT PROVIDE THESE CALLERS ANY PERSONAL INFORMATION AND PLEASE REPORT THEM TO US AS SOON AS POSSIBLE SO THAT WE CAN PROVIDE THEM A CEASE AND DESIST LETTER ASAP. Sponsorships are now available for the 2019 Expo! The Concession & Hospitality Expo provides your company with opportunities to put your products, services and brand in front of buyers for all types of recreation and leisure-time food and beverage operations. Sponsorships are available at every level and extend well past the convention itself, and benefits for each level are detailed below. Many of our sponsors also choose to extend their opportunities by registering for the full NAC convention, allowing them access to buyers at all educational sessions and social functions. For more information on how to become a sponsor contact Dan Borschke at the NAC office, 312.236.3858, dborschke@NAConline.org. -Logo recognition and major prominence on every Expo page on the NAC web site throughout the year. -Recognition in all pre-Expo marketing, both in print and via email. -Complimentary 8×10 trade show booth valued at $1,500. -Complimentary Full EXPO Registration valued at $595. -Complimentary Full Page Ad in Expo Program valued at $350. -Company name and logo noted in Expo program. -Recognition in pre- and post-Expo press releases. -Thank you announcement and invitation to address attendees at event. -Invitation for two to invitation-only board/ sponsor VIP party on Monday, July 29th. -Seated on dais and recognized as major sponsor at NAC Membership Luncheon on Thursday, August 1st. -Recognition as a educational session prize sponsor in signage. -Recognition in program as an educational session prize program sponsor.